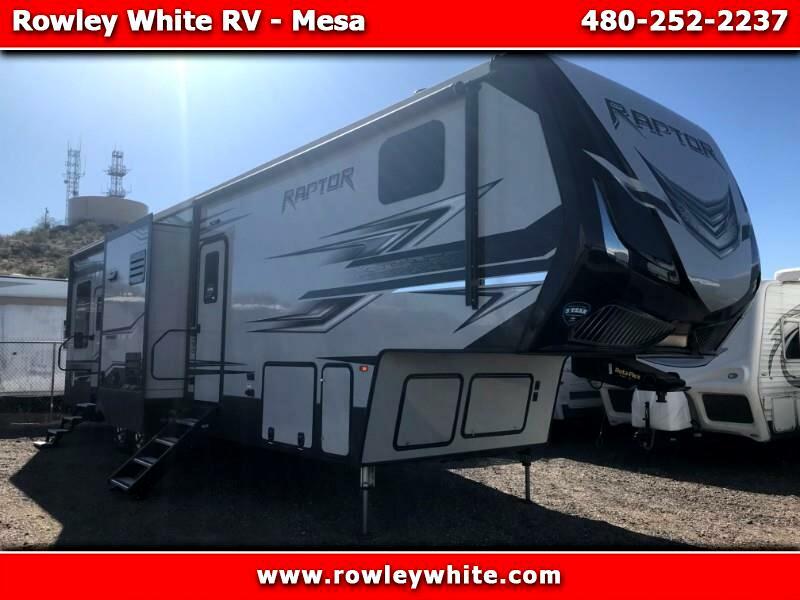 2018 Keystone RV Raptor 353TS 5th Wheel Toy Hauler with 3 Slides! NEW 2018 Keystone RV Raptor 353TS 5th Wheel Toy Hauler, Garage Model! *There is over 12 feet of cargo space in the garage! With 78 inches under the bunk in the up position! Message: Thought you might be interested in this 2018 Keystone RV Raptor.